The beautiful estates of Edison and Ford, the Museum’s new West Porch and the gardens have become very popular spots for gatherings of families, groups and businesses. It is a great way to add an interesting twist, some history and a lot of beauty for any event or activity. “We are honored that families want to spend their most special days at Edison Ford. Couples have exchanged vows, popped the question, taken engagement photos and visited the Edison and Ford Winter Estates to mark their anniversaries,” says Cori Cramsey, Events Coordinator at Edison Ford. 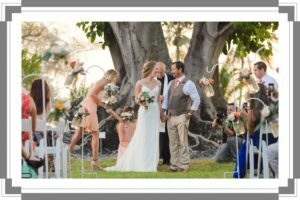 As the Events Coordinator, Cori carefully manages wedding ceremonies, family photos, events and lunch tours. Edison Ford is a stunning backdrop for significant moments. Whether you are thinking about a large ceremony or a small one, a wedding reception, baby photos or special events for groups or families, Edison Ford has everything to offer. 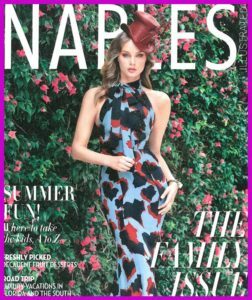 July’s issue of Palm Beach Illustrated and Naples Illustrated Magazine used Edison Ford for their photography for a Fall clothing feature. Edison Ford was sought out by the magazines’ editors because of all the unique locations for stunning photography. No place else offers historical homes, gardens and beautiful trees to serve as a gorgeous backdrop for many of life’s important events. 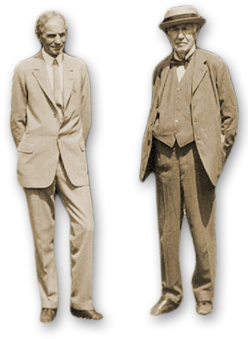 Business groups can also schedule retreats at Edison Ford to conduct meetings and learn some local history. Most buildings have Wi-Fi and internet. The Museum’s new West Porch is also a great spot for after-hours refreshments and tours of the museum. Cori recently received her Certified Wedding Planner credentials and is ready to schedule your event at Edison Ford. Contact Cori Cramsey at 239-334-7419 or ccramsey@edisonfordwinterestates.org for more information.